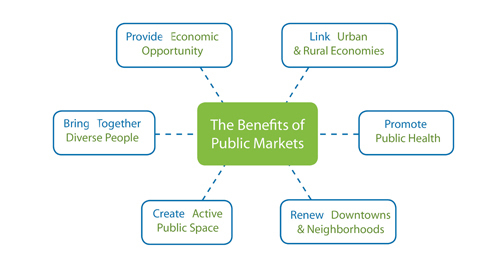 What are the dynamics behind the incredible resurgence of public markets and farmers markets in North America? Through PPS’s innovative research, grant-making and technical assistance programs, we have gained an unparalleled perspective on how markets work. 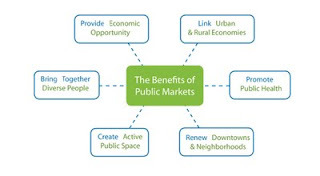 To be truly successful, markets need four crucial elements: the right mix of vendors and products; a strong sense of place; solid economic and operational underpinnings; and a firm commitment to the surrounding community.